The 'Do You Love Me' song by the big, multi-membered Lebanese pop band The Bendalis taken from their 1977 album Kamera, '77. The song first was part of that album, sung as part of their live act (Note: The Bendali family depended on stage concerts for their popularity at the very early beginnings of their career). The song from that album is 'Ana Sarli Senin'. But, it was made famous all over the Arab world (and, ultimately the world), by way of the band being invited to perform on Kuwait T.V. in a couple of concerts held at the late 70's. The video clip is shot, by the way, in the capital Kuwait at one of its 5-star hotels' shores at that time (Guess it was the Sheraton?). http://www.box.com/shared/8906406faf21db7ea1b0 (DJ Yoav R. Remix with Itis). P.s. : A whole page at Audiotopia will be dedicated to this wonderful Leb-Pop band soon, featuring at least 6 of their cassette albums from the late 70's through the early 80's with pictures and the like. Hope I can make it soon. In the meantime, one can enjoy this post which has a downloadable mega-comp with at least 60 songs by the same band. Dig and enjoy. And, yes thanks for the effort. Thanks for this super-detailed comment of yours! Woah! I will for sure check the Lebanese Pop Compilation + the other links you generously shared! And thanks for all the background info on the Bendalis! Pretty tight blog you are having... lots of info, good music and pictures! Thanks! - I came across this blog whilst looking for more reggae disco and your compilation is terrific! - then elsewhere I discover you're in China; so if you're ever in Shanghai definitely feel free to get in touch before hand and if you feel up to playing out , let me know - we run DJ nights in Shanghai and are always trying to expand minds. This looks really great. But I am being dim. How do you actually download the comp? I can't see a link. Or is it just a list? I am desperately trying to download this file, but if I do, I only get a rar-file that plays for five seconds in my VLC-player. Am I doing something wrong? I would love to be able to listen to this. thanx-a-lot for the mix, it's awesome. What else do you know about the last track? It is a re-edit of Ziad Rahbani's Abu Ali 12'', but I don't know why it is called Sumak... Nice meeting you! hi! 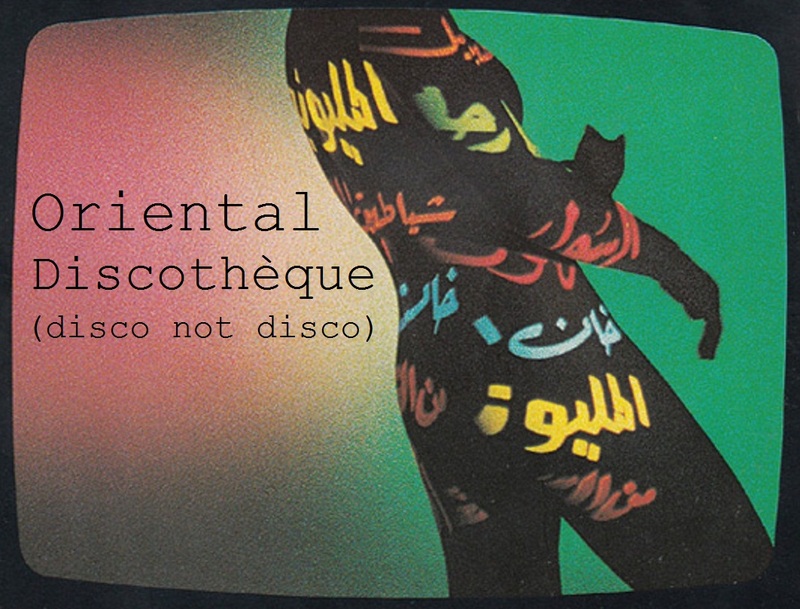 i've enjoyed the excellent "oriental disco & acid arab" comp, some of the featured songs were pretty amazing, great selection indeed! Any chance to re-up this comp too?